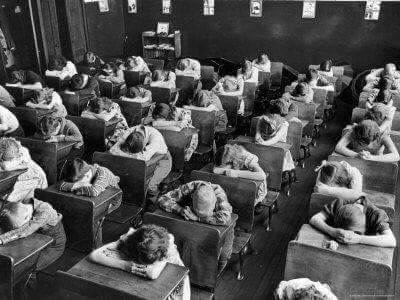 Sometimes, if you were quiet enough, you could slowly unwrap that Snickers bar you’ve been saving, and eat it during “heads down” time. Now, I suppose everyone would just be checking out their phones in their laps. Watching The Walking Dead or something.